Breathtaking views over serene Powai Lake to Mumbai’s dramatic cityscape elegantly finish the sophisticated and thoughtful offerings of this game-changing luxury hotel in India’s City of Dreams. The Chedi Mumbai welcomes business travellers with sophisticated meeting facilities, state-of-the-art equipment and communication technology. Surrounding this singular urban sanctuary, the Powai area of Mumbai is in the midst of an exhilarating transformation into a world-class destination for luxury shopping, refined living and international commerce. Access is exceptional, with the Eastern and Western Express Highways seamlessly linking The Chedi Mumbai to the most important historic sites and financial centres in this thriving metropolis. 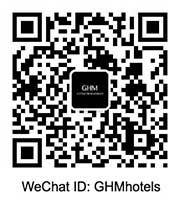 At GHM, we offer services and accommodation across the globe. Our top locations in Mumbai, Bali and Muscat give our guests a lavish, indulgent experience which lets them truly unwind during their time away. The Chedi Mumbai is a popular option for business travellers or for those who are looking for a spectacular event venue. Our fantastic location means you are in close proximity to the bustling business district, whilst still having the comfort of returning to a relaxing dinner or getaway in one of the city’s top five star hotels. If you are interested in accommodation that exudes luxury with bespoke services, choose The Chedi Mumbai. With luxury amenities and 5 star service, we ensure your stay will be seamless and relaxing.